Ms. Ana Mickovska-Raleva holds a BA degree in Psychology from the University Ss. Cyril and Methodius from Skopje and an MPhil degree in Education from the University in Cambridge, UK. She has previously worked as a Project Assistant on two USAID projects and has an extensive experience as a survey conductor for Brima Gallup. Her interests range from social psychology issues (group relations, forming stereotypes and prejudice, media influence on forming opinions) and issues of educational modernization and quality. She has published her studies in domestic and international journals and presented her research at several international conferences. 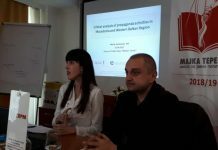 Her areas of specialization include: education policy research, project monitoring and evaluation, and quantitative data analysis.She works in Macedonian Center for Civic Education. Mr. Emil Shurkov holds a BA in Political Science and European Studies from the American University in Blagoevgrad and an MSc. in Public Policy and Human Development from Maastricht University, the Netherlands. Before joining CRPM in January 2014 Shurkov has been working in the private sector, more specifically, banking, insurance, education, environmental consulting etc. He has participated in a number of international trainings, forums and conferences. His research and personal interests include, but are not limited to: emerging and green technologies, sustainable development and energy efficiency, sustainable transport and energy, economy. He is an independent consultant. Mr. Zdravko Veljanov has a Bachelor degree in Translation and Interpreting with Cultural Studies from Ss. Cyril and Methodius University in Skopje; MA degree in Conference Interpreting from Ss. 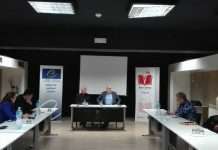 Cyril and Methodius University in Skopje and MA/MSc degree in European Studies from Europa-Universität Flensburg, Germany and University of Southern Denmark, Denmark. Prior to joining CRPM in February 2016, Veljanov worked as Research/Teaching Assistant at Faculty of Law Iustinianus Primus, Skopje. His research interests include, but are not limited to: social and transitional justice, industrial relations, human rights and democracy, policy-making, good governance and constitutionalization. Executive Manager of Boutique Hotel Rose Diplomatique. Consultant at McKinsey & Company ,Executive Director, Healthgrouper. Vice-Rector, Associate Professor at University of St. Paul the Apostle. Project Officer, Macedonian Center for International Cooperation (MCIC). Programme Manager, Association for Development Initiatives – Zenith. PhD candidate, Graduate School for Social Research, University of Warsaw. PhD candidate, University of Ljubljana. Polish Academy of Sciences, Warsaw. Social Policy Specialist at UNICEF Belize. Chief of Party, Balkan Investigative Network Reporting (BIRN). Regional Technical Advisor at GIZ. Advisor, Parliament of the Republic of Macedonia. 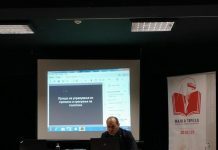 Director, Institute for Policy Research and Good Governance, PhD Candidate from the Political Science Department at the University Kliment Ohridski. Center for Intellectual Property and Technology Transfer. Quality Assurance and Management Officer at South-East European Univeristy. Advisor to the Minister and member of the Government Committee for Innovation and Entrepreneurship. Career Diplomat, Ministry of Foreign Affairs, the Republic of Macedonia. 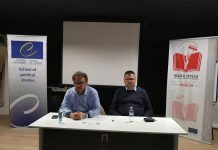 Executive Director, KB Publikum Invest AD Skopje. Adviser at Ministry of economy.